Description: This 96-page book, a companion to the Curriculum, is in the format of multiple choice questions, data interpretation, case scenarios, and journal reading. 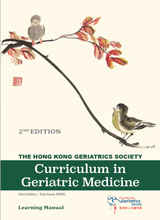 It is intended for problem-orientated self-learning or guidance by teachers / trainers of formal courses in geriatric medicine and gerontology. 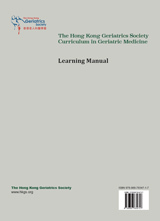 Access to the complete content online requires a purchase of the printed companion book “The Hong Kong Geriatrics Society Curriculum in Geriatric Medicine”. Public users can view part of this book without a purchase.